With bespoke kitchen designs being a method to create the perfect kitchen, it is important to understand there are many clever space-saving approaches you can undertake in your kitchen space. 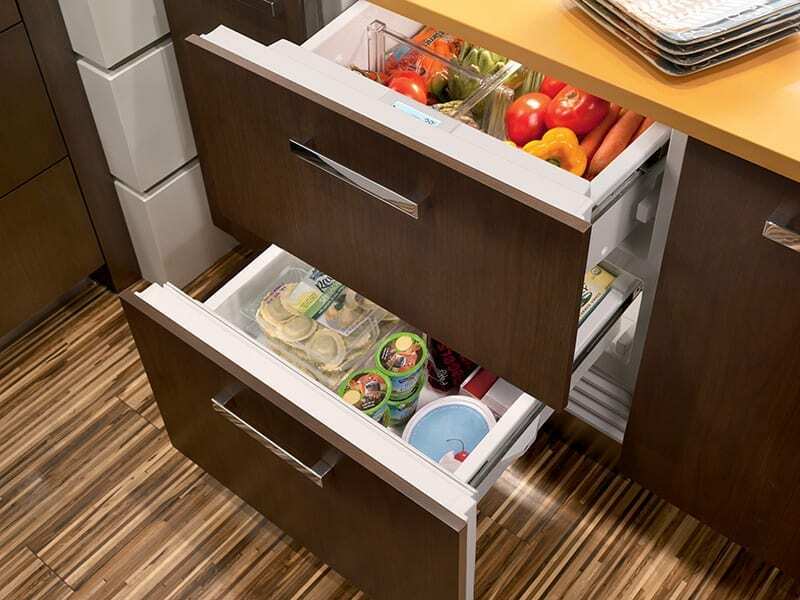 Today we will run through the under-counter refrigerator drawers that offer a clever way to discreetly store cold items. These drawers can be used as an addition to your main fridge to allow you to organise your food better or use less food storage space. Below, we have provided you with insights around the benefits under-counter refrigerator drawers offer. 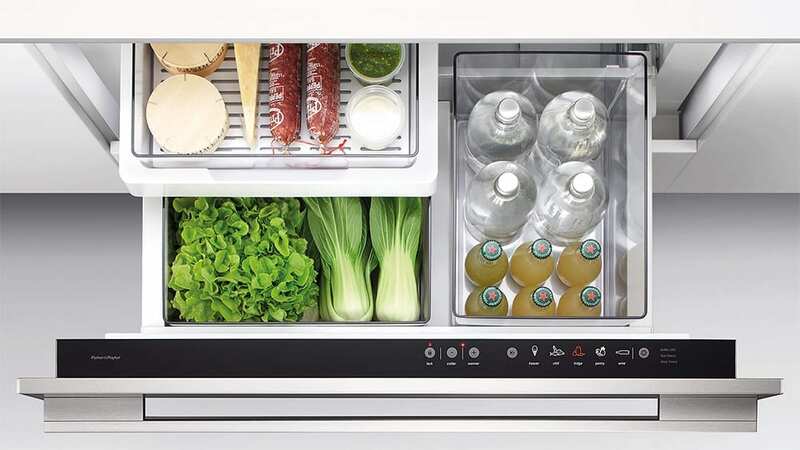 The Cool Drawer™ from Fisher & Paykel can change from fridge to freezer at the touch of a button. Install and integrate this drawer-style fridge freezer virtually anywhere in your home including under benches. 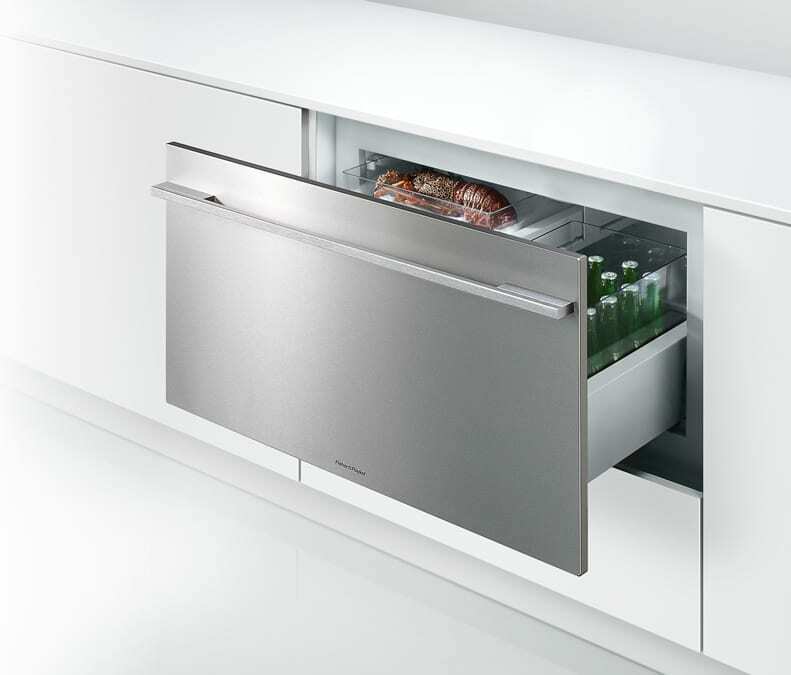 This drawer is available online direct from Fisher & Paykel UK. The Fisher and Paykel cool drawer are ideal storage for most foods such as fruit and vegetables, dairy products, processed meats, and drinks. The compact upper storage tray is a perfect place for sensitive foods such as peaches, cherries, cheeses, and deli items, while the tall bin is ideal for large bottles and containers. Experience a fresh approach to refrigeration with Sub Zero’s most advanced design, in more sizes than ever, to allow refrigeration anywhere in your kitchen. With no visible grilles or hinges, the integrated refrigerator/freezer has been designed to merge with your decor, ‘making it possible for your refrigeration to be indistinguishable from other cabinets and drawers around it’. With a flexible range, the Sub-Zero collection offers customisation. Drawer fronts that can be fitted with panels and handles plus dampened drawer slides resulting in a smooth, high-end cabinetry feel. The ICBID-30CI is a practical, beautiful option in a kitchen, master suite, bar, or home theatre space. The ideal storage for most foods such as fruit, vegetables, dairy products and drinks. The compact upper storage tray is a perfect place for sensitive foods while the tall bin is ideal for large bottles and containers. Chill Mode sets the compartment to a temperature ideal for highly perishable meats, poultry and seafood. Chill Mode sets the compartment at -0.5°C, just above the freezing temperature for meat. If you are keen to incorporate these space-saving refrigerators in your kitchen or to explore the best possible storage solutions for your space, don’t hesitate to get in touch with us today. Click here: Amberth to contact someone from our team and you will get a reply at our earliest opportunity.